An Empire Builder system game featuring a unique timeline orchestrated by event cards and a distance warp to accommodate the vast distances of the Soviet Union region. 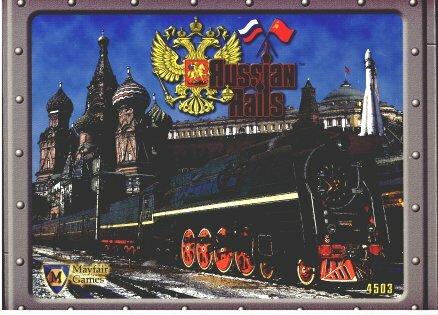 The game begins in the post WWII era, with players drawing rail lines and delivering loads wary of the inevitable fall of the Soviet Union. Build an empire from the Black Sea to the Baltic.